On the eve of the Trump Inauguration, this panel invites five practicing artists and critics for a lively conversation about the influence of politics and current events on their work. 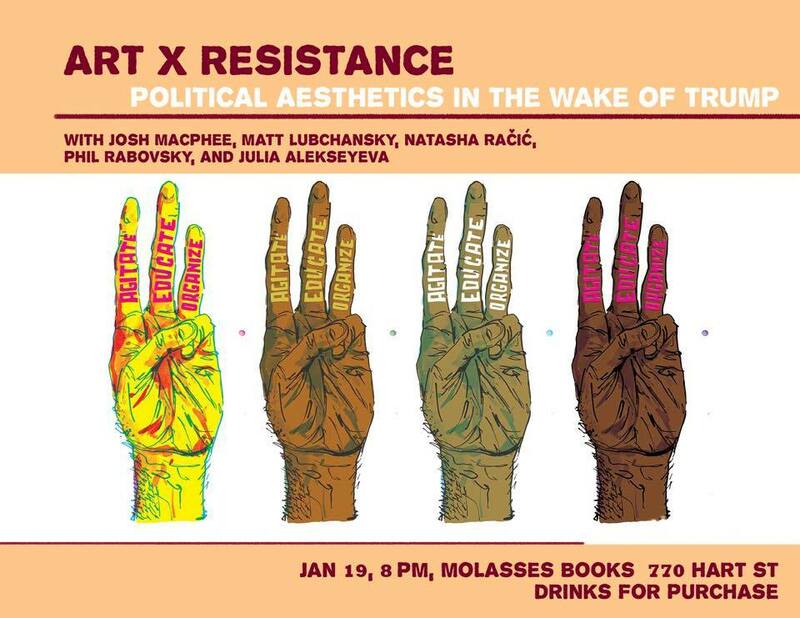 While discussing their own methods, the panelists will also reflect upon the role of art within political struggle. They will also invite the audience into a collective conversation and Q & A, in the hopes of reaching meaningful and insightful solutions. Drinks will be available for purchase at Molasses Books, as will works created by the artists themselves.